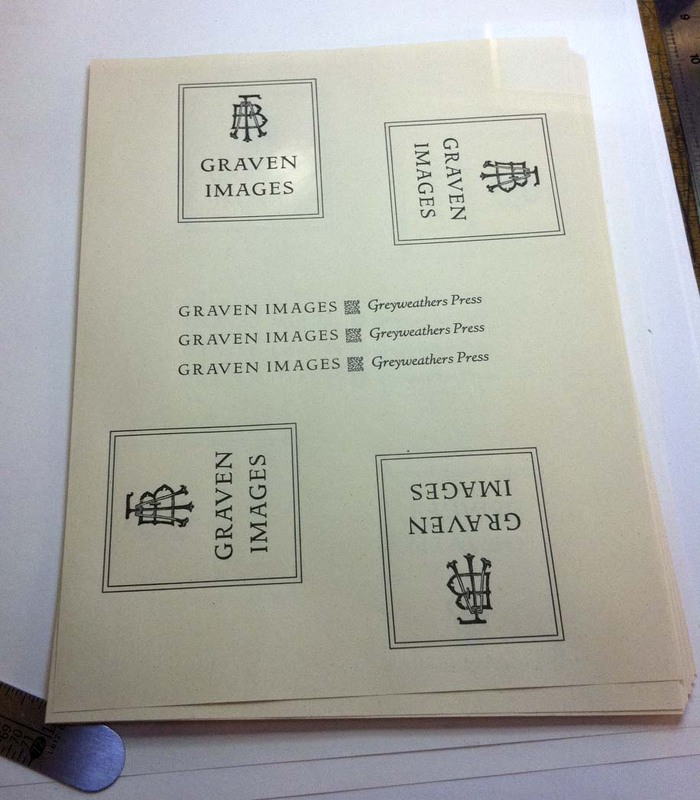 Today, I inked the press up and printed the cover and spine labels in order that I might finish off the freshly bound copies of Graven Images. Tomorrow I’ll cut them down, glue them onto the cover and spine, then prepare send off several copies to satisfy orders from late last year. I intend to hand-bind several more copies using the hand-painted papers Holly made back when we thought they’d all be done that way. These are earmarked for special destinations. The two that I’ve already done worked out quite well. This entry was posted on February 21, 2011 at 1:04 pm and is filed under Book Making, Bookbinding, Fine Press Printing. You can subscribe via RSS 2.0 feed to this post's comments. You can comment below, or link to this permanent URL from your own site.